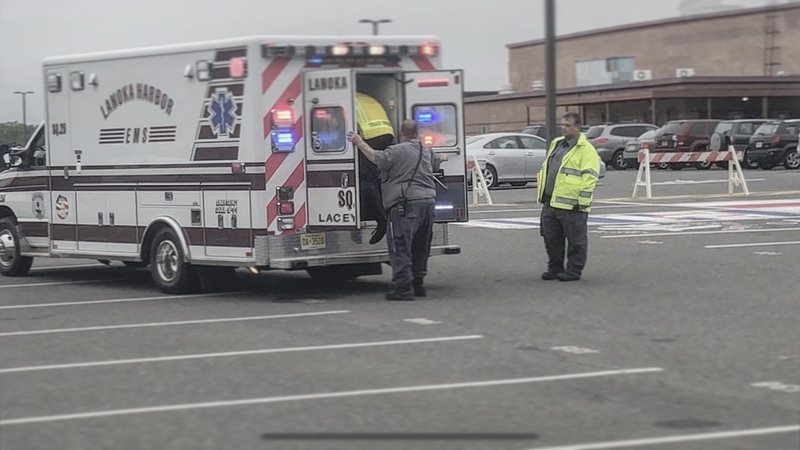 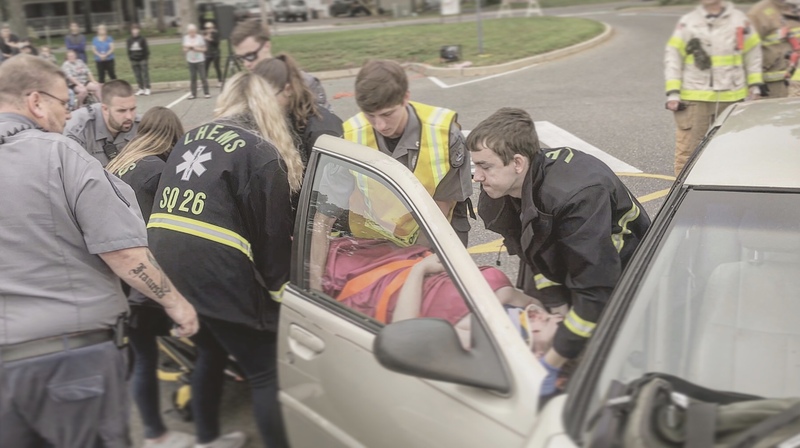 This morning, Lanoka Harbor EMS members- several of whom serve as “cadets” and attend Lacey Township High School as students- presented a mock DUI car crash ahead of the senior class prom in an attempt to raise awareness of the dangers of impaired driving. 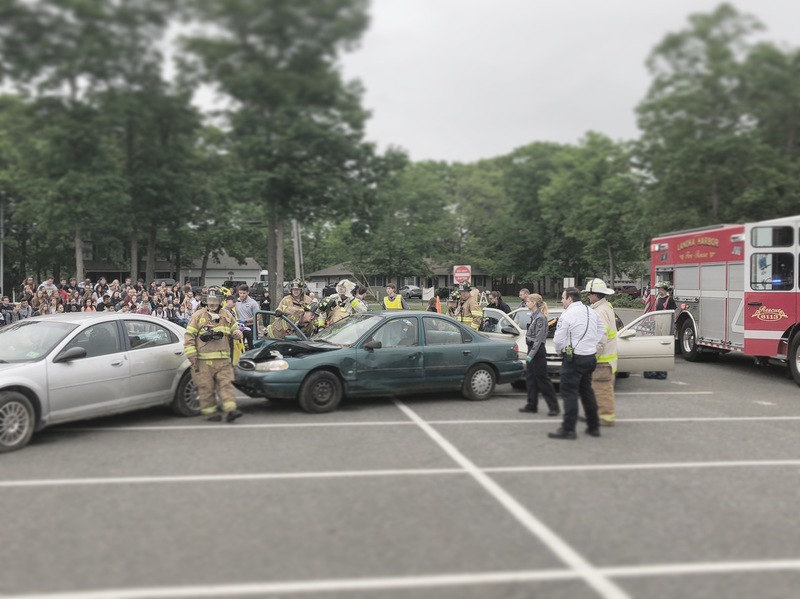 Lacey High School seniors received firsthand experience of what they could be responsible for, including being arrested for crimes as serious as vehicular homicide. 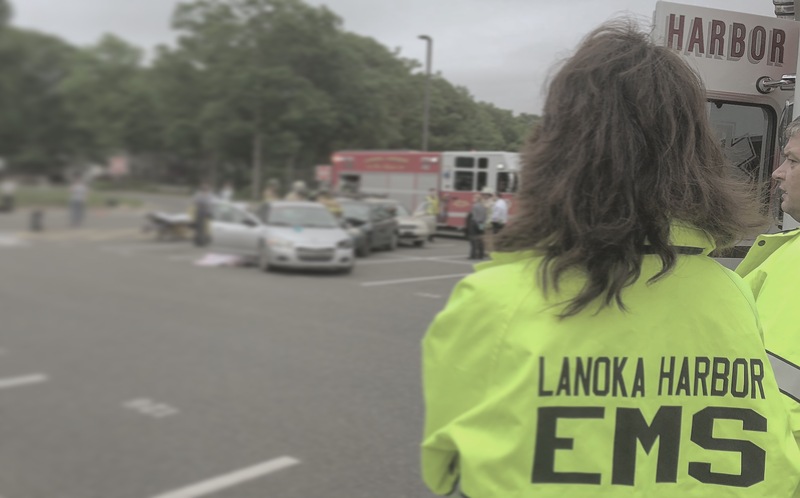 LHEMS members attended to four patients in two vehicles, as well as an intoxicated driver of an additional vehicle who did not require medical attention. 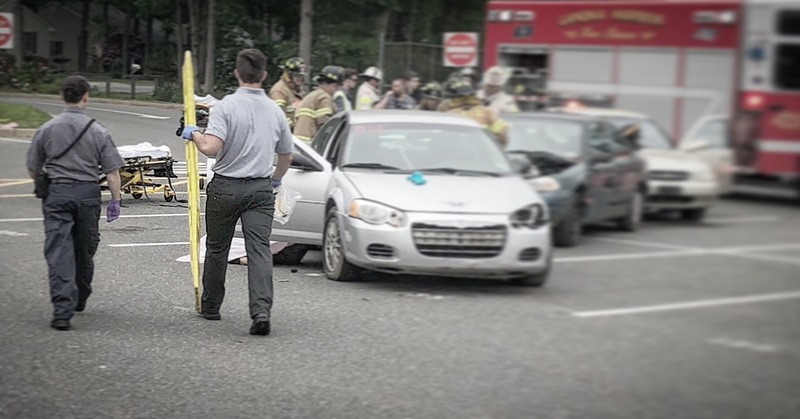 Two patients required full extrication (the removing or cutting away of a vehicle’s structure to free an entrapped person) and spinal immobilization, while one suffered only minor injuries. 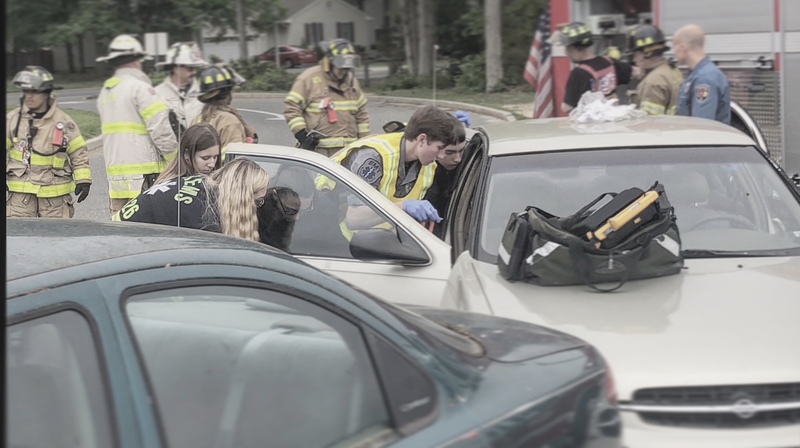 An additional patient who wasn’t wearing their seat belt, and was consequently ejected through the side window, was pronounced dead at the scene due the magnitude of their injuries. 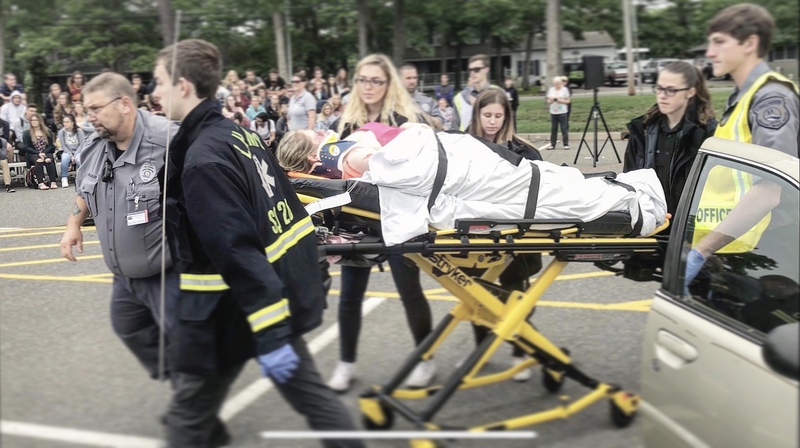 It is the sincere hope of all emergency services agencies involved, that today’s demonstration conveyed the seriousness of incidents such as impaired driving. 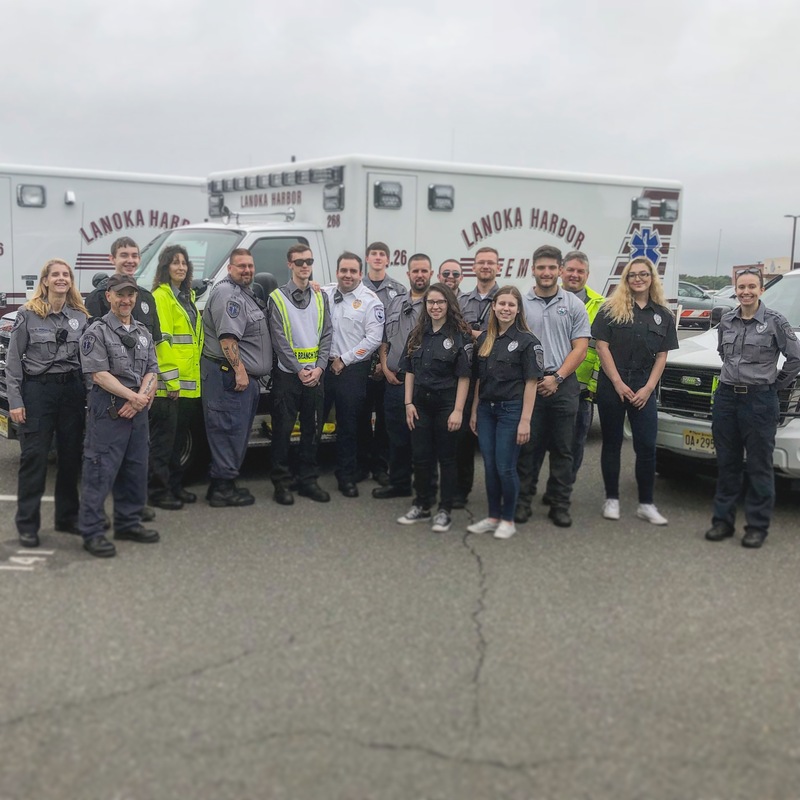 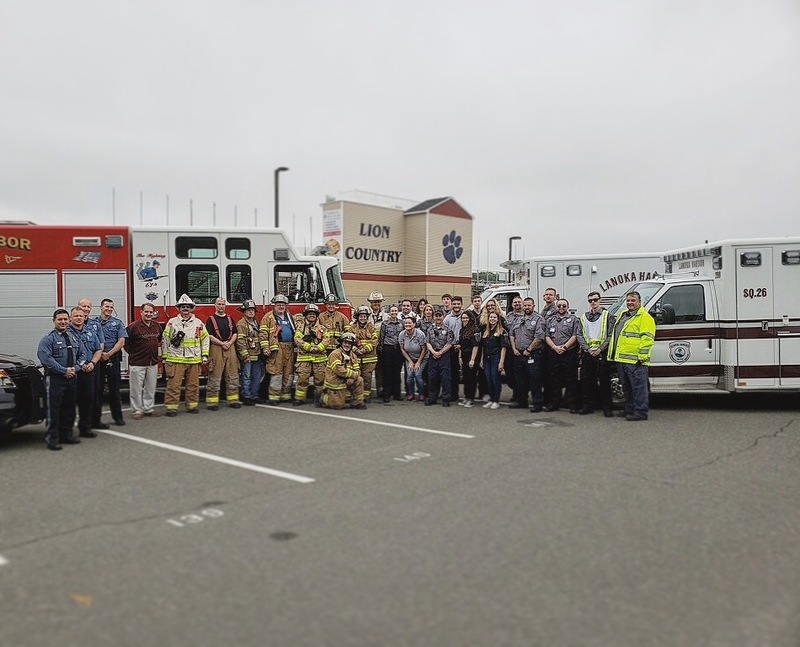 Lanoka Harbor EMS would like to thank the Lacey Township High School for making the event possible, as well as the other emergency services who assisted in the demonstration: The Lanoka Harbor Fire Company, The Lacey Township Police Department and Bugbee Riggs Funeral Home.